How would you turn Roppongi into an area of Design & Art? NO12 Kashiwa Sato How would you turn Roppongi into an area of Design & Art? Art director Kashiwa Sato has undertaken many projects, from the branding of companies and facilities including a kindergarten, to creating the concept of a hospital. 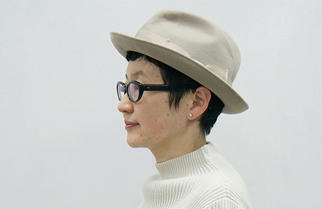 We interviewed Sato at the National Art Center, Tokyo-a museum whose logo mark and signs he designed. 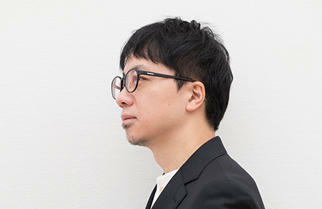 Sato has written books which notably contain words such as "cho seirijyutsu" (the art of being ultra-organized), "designpedia", and "creative thinking". 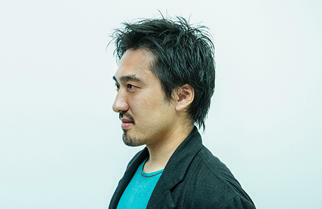 Sato is known for coming up with logical solutions for various problems, and people in a wide range of fields put faith in his philosophy of design. We asked Sato what he would do to turn Roppongi into an area of design and art. Since I work in branding and communication, I'm always thinking about things that have impact. If the aim is to turn Roppongi into an area of design and art, you should first think about doing something which is easy to understand and which will have an impact on people. For instance, you might turn the large facilities like Roppongi Hills and Tokyo Midtown into works of art. There was a pair of contemporary artists called Christo and Jeanne-Claude who wrapped up large buildings such as the Pont-Neuf Bridge in Paris and the Reichstag in Berlin with cloth. Many people from all over the world went to look at these works. Perhaps there might have been other ways of doing something artistic with buildings on that scale, but the point I want to make is that you should deal with almost ridiculously huge things. Artist duo and married couple. They once wrapped up the Reichtag, the German parliament building. The photograph is of the Museum of Fine Arts Berne which was wrapped up with 2,430 square meters of cloth in 1968. On Nov. 18, 2009, Jeanne-Claude passed away. A special exhibition titled "Christo and Jeanne-Claude" was held at the 21_21 DESIGN SIGHT in her memory. Putting aside for a moment the question of whether or not it is feasible, you could perhaps create a giant human figure sitting on top of the National Art Center, Tokyo or something big clinging to the Mori Tower of Roppongi Hills. It should be something that can be clearly seen from afar. I'm sure that if people looked down from the sky and saw this monster-like object in the streets, it would have an impact on them. It would be interesting if this something is not cheap or artificial, but a work of high quality. I think people are drawn to gigantic things. In Odaiba, there's the life-size Gundam which has attracted many visitors. I think people are also visiting the Sky Tree because in a way, it's a huge work of art. When you make an impact that is easy to understand, you can make things happen. For example, people who had not been interested in Odaiba before will start going to Odaiba, or people will start talking about the Sky Tree and its neighborhood. You need to make an impact if you want to get the attention of people who are not interested. Unless you manage to stir people's interest, things don't get exciting. From my own experience in working in branding and advertising, I've come to see that a "phenomenon" will not occur unless you succeed in getting people to pay attention in some way. But getting people's attention is not easy. The important thing is to send your message across to the outside of your realm. I've been fortunate to work in a wide range of areas such as fashion, automobiles, and food; I've learnt that it's necessary to make a far-reaching impact outside of each industry. Otherwise you will never make news. So if you want to make Roppongi an area of design and art, you need to leap outside the boundaries of the art world and the design world, and create a phenomenon that will appear attractive to the general public. I think some mistaken notions probably still exist that art is incomprehensible or that design is artificial. There are probably also many people who don't like art and design. Maybe this is because until now, information has been targeted to the people within the industry. In order to attract more people to Roppongi and make it an exciting place, you must think of doing things that will interest people who don't like art. The word "art" refers to diverse genres; my favorite genre is contemporary art. I find in it the fun of a role-playing game. You enjoy a role-playing game by following a long story. The fun of contemporary art is not just in the work itself, but knowing about the background, including the periods and history. You need to have a certain amount of knowledge in order to appreciate the contrast between the numerous contemporary works that artists have created over the years. Within the big encompassing genre of "contemporary art", artists come up with their own new interpretations. Knowing about Andy Warhol and the factors behind his works helps you to have a deeper appreciation of the works of artists such as Damien Hirst, Jeff Koon and Takashi Murakami. When you get to know the rules of contemporary art, it becomes interesting because you can feel that you are also taking part in it. If contemporary art is a role-playing game, New York is its stage. There are lots of other art cities, but New York is definitely the center of contemporary art. It would be difficult for Roppongi to become the center... There is the problem of the locale, but it's not just that. You can have lots of galleries, or lots of artists or curators, but they are not the solution in themselves. In addition to all of that combined, you need collectors. In New York, contemporary art is a business and there is a proper system and a market for it. Of course, there's a market in Japan as well, but it's small. That's why it's important, as I mentioned earlier, to gain people's attention by making an impact. Without igniting interest, there is no way for the market to expand. I don't mean to talk just about the business aspects of art, but it's a fact that without attracting people and things and money, the quality of the works will not improve, and things don't become interesting. So I think it would be good if, for example, a gigantic artwork sits on top of the National Art Center, Tokyo. People and companies who see it might offer to become sponsors and this could turn lead to new projects in Roppongi. That kind of chain reaction would be ideal. I talked earlier about ridiculously huge things; in order to make an impact and get people's attention, I start by looking for things which are shamelessly conspicuous. It doesn't necessarily have to be big. It could be something that is extremely tiny, or terribly gaudy or strikingly neat and tidy. To send a strong message across, it should be simple so that a single glance will be enough; it should not require the comprehension of anything complicated. You just need to grab people's attention. If you succeed in doing that, you have done about 80% of the basic work. Then you just need to pay careful attention to the details and complete the project. It's important to strike a right balance between those two aspects. I'm not talking about making an interesting project plan. The most important thing is the concept that comes before drawing up the plan. The concept is the big goal; it is what you actually aim to do, and it is the keyword of the project. There are times when simply grabbing people's attention can be the concept itself. I was born and raised in Tokyo so I have fond feelings for this city. 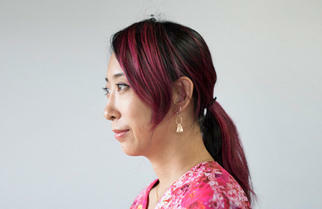 Tokyo has Roppongi, Aoyama, Ginza, Shinjuku - towns which each have a different face. I find it intriguing. There are times when I go some distance in a town and find that it has another totally different face. Such towns make me want to visit again. New York might appear to be small, but there's a big difference in the atmosphere between Downtown and Uptown, and you can visit many times but still make new discoveries with each visit. I guess it might be rather mundane to say that I like New York best among all the cities in the world (laughs) but I do find it an exciting place. There is abundant information, and it keeps changing fast, like Tokyo. When you visit a year later, there is always something new to look at. Something new is constantly happening there. Another city I like is Copenhagen, Denmark, but it's not a place I wish to visit each year. The whole city is beautiful, with old and modern architecture blending together -it has sophisticated taste. And wherever you go, the sunlight is lovely. But there is no change a year later - the city has a beauty which has already been perfected. Of course, this unchanging beauty is what makes the city appealing, and that kind of beauty can also be found in Paris and many other European cities. On the other hand, in New York, the musical performances and the gallery exhibitions change, and the bookstores and the cafes keep constantly changing. I admit I'm talking here about the "content" and not the buildings, but each time I go to New York, I am sure to experience something new. The places that make me want to revisit are places which continue to renew themselves. I think of designs as being measures to solve problems. Working with companies in all kinds of fields, I find that each have their own unique problems. It makes it all the more challenging for me, and I'm delighted when I can help bring good results. In the future, in addition to working for individual companies, I hope to put my energies into work of a more public nature. Using the power of design and creativity, I wish to contribute toward making the world a better place; I would like to be more directly involved with society. Currently, I'm serving on the board of directors of a foundation called Great Forest Wall Project which was set up by Mr. Morihiro Hosokawa and Professor Akira Miyawaki, Professor Emeritus of Yokohama National University. The foundation aims to utilize the rubble from the Great East Japan Earthquake to make a bank along the coastline of the quake-affected areas. It's a large-scale project to build a forest breakwater about 300-400 km long. I'm in charge of the visual and communication aspects such as the logo and website. I hope that a lot of people will become interested in this project. A project that began on May 25, 2012, utilizing rubble from the Great East Japan Earthquake as effectual resource to restore the quake-stricken coastline in Tohoku. Rubble is considered not as rubbish or waste but as precious remembrance of everyday life of locale people. Athletes have a conviction that sport is wonderful. And musicians believe in the power of music. Everyone knows in their hearts that sport and music are great. I have the same kind of conviction about the power of creativity and I want to put that power to the best possible use. Doing things that are beneficial for the public or playing a part in spreading the excellent aspects of Japanese culture to the world are what brings me joy. Born in Tokyo in 1965. Graduated from the Department of Graphic Design at Tama Art University. 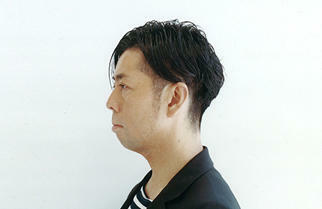 After working for Hakuhodo Inc., became independent in 2000, and set up "Samurai", a creative studio in the same year. Has been engaged as a brand architect in numerous projects including the global brand strategies of Uniqlo and the Rakuten Group, the package designs and communication strategies of Kirin Lager Beer, and the renewal of Seven-Eleven Japan's private brand. Has written numerous books including the bestseller "Kashiwa Sato's Ultimate Method for Reaching the Essentials" which sold 200,000 copies, "Reaching the Solution: Kashiwa Sato's Creative Thinking Techniques" and the children's book "Sho-chan and Chikyu-kun. Let's always stay together". 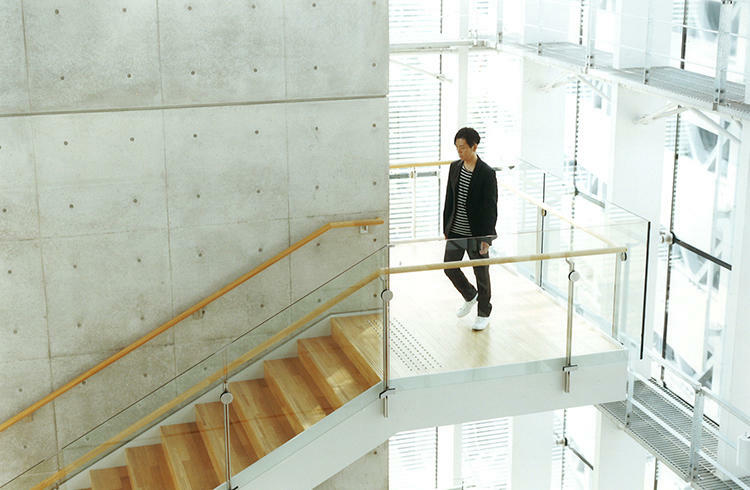 Has won many awards including the Mainichi Design Award and Tokyo ADC Grand Prix. 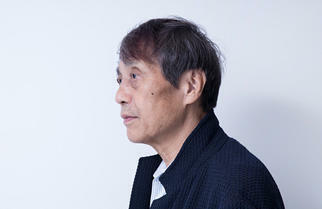 Is also a special guest professor at Keio University and a visiting professor at Tama Art University.